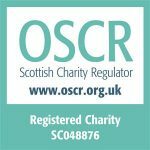 Corporate Membership is open to commercial organisations. Private providers of PICU or LSU healthcare services and pharmaceutical industries are not eligible for corporate membership of NAPICU. Corporate Membership runs from 1st January to 31st December each year. Free stand at the NAPICU Annual Conference. Corporate Members will receive first choice for the location of their stand. Information will be sent to Corporate Members two weeks prior to all potential sponsors. A4 Delegate Bag insert for the NAPICU Annual Conference and Local Quarterly Meetings. Five free full registrations to the Annual Conference, including attendance at the Gala Dinner. These may be used by staff or raffled off to customers – registration information must be received by the NAPICU Office 1 month prior to the event. The invitation to present one promotional poster at the NAPICU Annual Conference. Corporate Members will have an optional 30 minute discussion with a NAPICU Executive Committee Member during the Annual Conference. 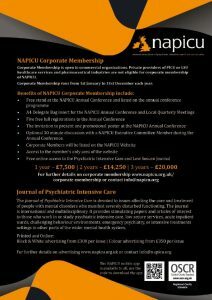 Corporate Members will be listed on the NAPICU Website, including a link to their corporate site. Corporate Members will also be acknowledged on all NAPICU Social Media Platforms. Access to the special member’s only area of the website, presentations, videos from Quarterly Meetings and Conferences, as well as social media interaction.